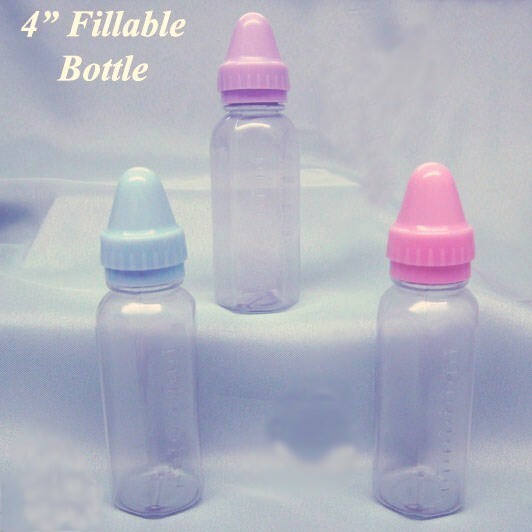 4" Fillable Bottle. Cute for any baby shower! Available in lt. blue, pink and lavender. Sorry, lavender is temporarily backordered. 4" tall and made of plastic.